This role deals with the movement and storage of goods, which is a critical aspect of any builders’ merchant business. In smaller companies this role may be integrated into other roles. Larger merchants would have dedicated personnel. To find out how to start your career and where a career in Warehouse & Storage can take you click the tabs below. You can go directly into this job. It's usual to start through temping or seasonal work.You may not need qualifications, but some employers ask for GCSEs at grade 4 (C) in English and maths, or equivalent qualifications. You may also need basic IT skills. Restrictions and requirements You may need a driving licence and forklift truck driver training for some jobs. 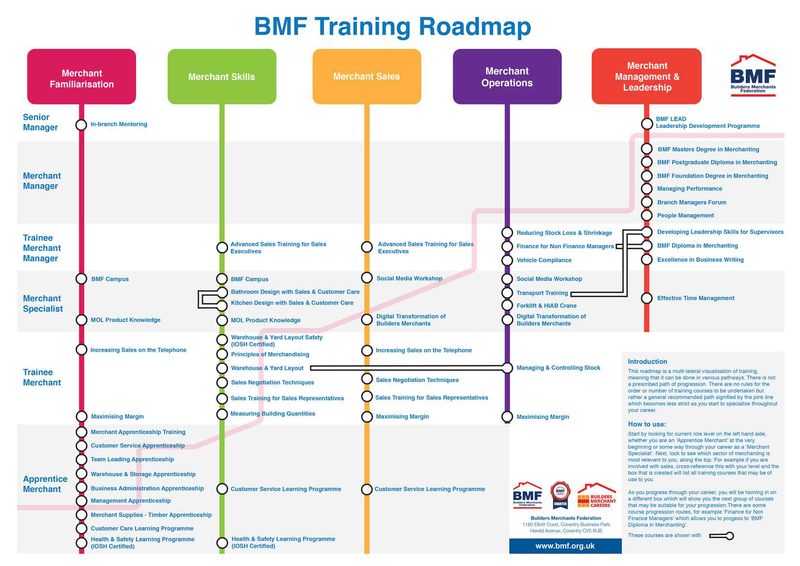 Download Our Training Road Map. You can get into this role through a HR consultant or partner higher apprenticeship. Employers will set their own entry requirements. Why a career in a warehouse? This career largely involves manual labour and combines both physical and technical working. But it is as fun and fulfilling as other jobs due to the team of people you work with. You will usually need some GCSE’s, but these aren’t necessary. You will gain on the job training for the role and you can progress by doing an external Warehouse Training. Is there a chance to progress? There is definitely a chance to progress within this career. There are many different routes that you can take and it just depends on what you prefer doing and what your skills are.